Why wait for summer to enjoy fresh herbs? You can grow them now — by starting seeds indoors. In under a month, you will have fresh herbs to add to your recipes. I grow my seeds under my grow lights. 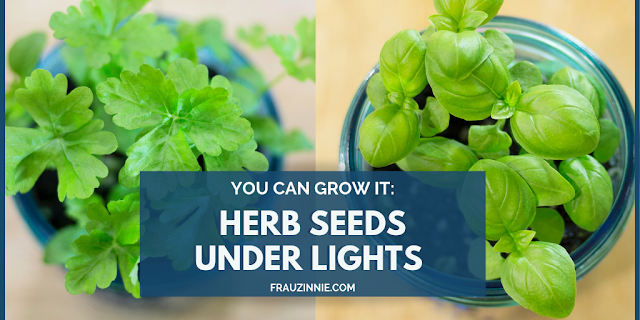 Starting at the end of February, my seed starting tasks for my 2019 garden will be under way, but in the meantime I have plenty of room under my grow lights for this quick and fun project. No grow lights? 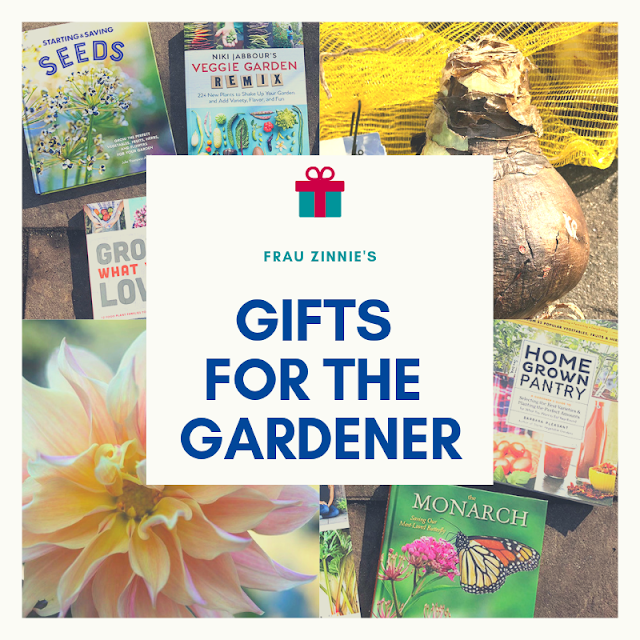 You can also try growing seeds in a sunny, west-facing window that is not drafty. 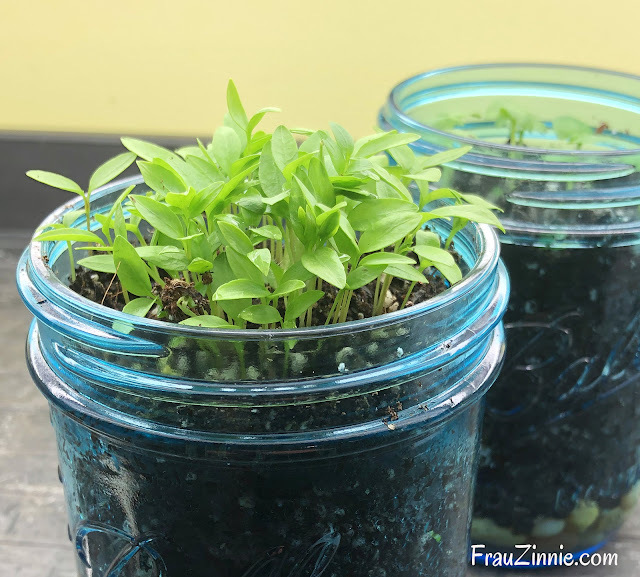 To add a bit of color, I grew my seeds inside blue wide-mouth mason jars. (I purchased a pack of four pint size jars at Target.) 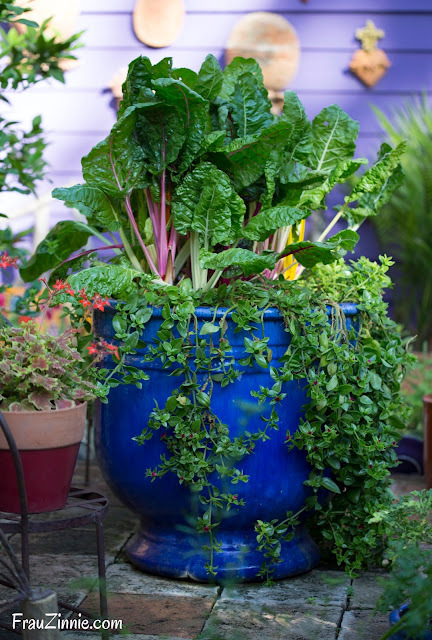 You'll want jars that are medium to large in size so the plants have room to grow. 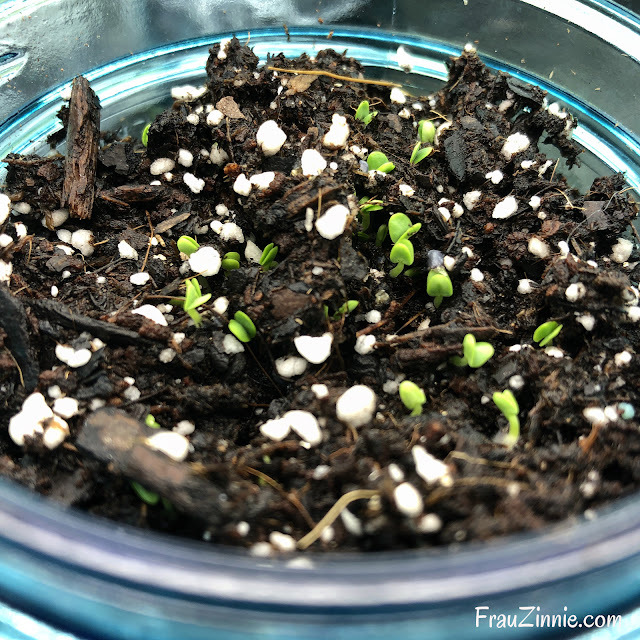 This seed-starting activity is also a fun project to do with children on a snow day, and will teach them how seeds grow long after the snow day has passed. 1. Fill your mason jar with a thin layer of stones. 2. Next add a layer of charcoal to improve drainage. 3. Add your soil. It should already be moist but not very wet. Scatter a few of your seeds on top. (You can save the extra for future sowings.) Cover the seeds with a thin layer of a soil and then mist with lukewarm water. 4. 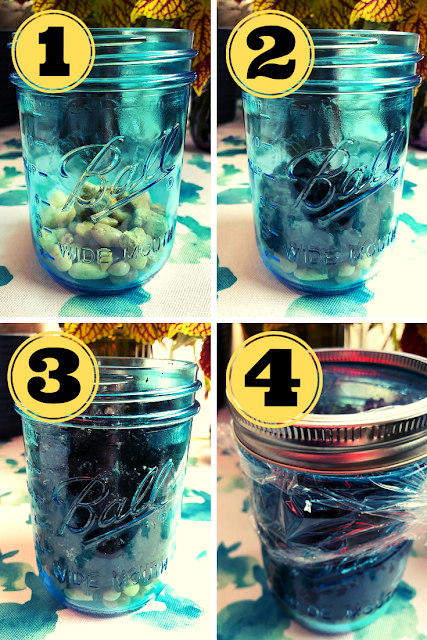 Cover your mason jar with plastic wrap and the secure the lid. 5. Place under grow lights. The plastic wrap will help keep the moisture inside for the seeds to grow. When the seeds began to emerge, I removed the plastic wrap cover. My basil sprouted within three days and the parsley seeds emerged within a week. Just a little water will go a long way when watering your herbs. Since there is no drainage hole in the jar, you won't want to add too much. An easy way to judge how much water is enough is to not let the water rise above the stone layer at the bottom of the jar. What happens if you sowed too many seeds and now there are too many seedlings? 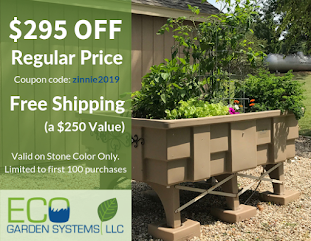 Even though it might seem intimidating to thin out seeds, you'll want to make sure that you allow the plant(s) to have enough room to grow into a larger plant. I thinned my seedlings down to about three to four plants per jar. Once the plant reaches three inches high, you can move it out from under the grow lights and into a kitchen window (without a draft). Or you can leave it under the lights. As the plants grow, you can cut stems and leaves and add them to your recipes. *Park Seed Co. provided me with complimentary seeds for growing indoors.